Lowell Adkins, executive director for the National Association of Campus Card Users, has announced that he will be retiring from his position on June 30, 2016. 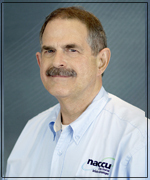 The announcement comes after having served as NACCU’s Executive Director since March 2004. The NACCU Board has appointed NACCU’s treasurer, Ken Boyer from Mercer University, as chair of the Executive Director search committee. Boyer will work with this search committee as well as search firm, Spellman and Johnson, to assist the NACCU board in appointing Adkins’ successor. “Lowell has guided NACCU with care and well thought-out strategies, and has led by example. Lowell brought a sense of professionalism, a united approach, a steady influence, and a team mentality to NACCU during the past 11 years,” says NACCU president, Brian Bollich.